Dealing with an ecstasy problem? Read and learn all about available treatment options and choose between inpatient and outpatient ecstasy rehab. Ecstasy is a synthetic, illicit drug that affects a user’s mood and perception. Ecstasy usually comes in the form of a pill and is used to create a deep sense of wellness and closeness. In fact, ecstasy produces energizing effects similar to amphetamines AND psychoactive effects similar extreme empathy. While most weekend/party users do not develop physical dependence, a small percentage of regular users can get addicted to ecstasy. But, how is ecstasy addiction treated? 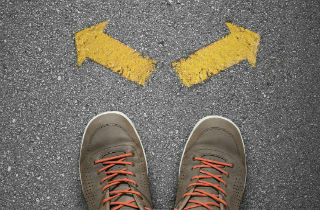 Is it better to choose an inpatient rehab, or will outpatient treatment do? Check out this article to find out which treatment options are available for ecstasy addicts. In case you have any questions at the end of the article, feel free to post them in the section at the end of the page. We will try to respond as quickly as we can…but guarantee a personal response or referral to someone who can help. Why do you need ecstasy addiction rehab? Ecstasy is a classified as a Schedule I Controlled Substance by the U.S. Department of Justice. This means that it has a high potential for abuse, has no accepted medical use in the U.S., and lacks a level of accepted safety for use under medical supervision. Inpatient treatment for ecstasy addiction requires that patient live temporarily in a treatment facility. This type of treatment is generally recommended for those suffering from a severe ecstasy addiction. An inpatient environment creates a controlled surroundings that is trigger-free and people are less likely to relapse. The length of inpatient rehab programs ranges from one month (which is the usual time needed for detox) to several months in more severe cases of ecstasy addiction. Outpatient rehab treatment for ecstasy addiction is intended for those who can’t leave work or family obligations for an extended period of time. Outpatient ecstasy treatment programs are fit for those suffering from a less severe ecstasy addiction or who have a high motivation to stay off the drug. Outpatient programs are often significantly less expensive than inpatient programs…and just as effective! What should ecstasy treatment programs offer? Currently, there are no specific treatments for ecstasy-specific abuse and no pharmacological treatments for dependence on MDMA. The most effective treatments for drug abuse and addiction are Cognitive Behavioral Treatment (CBT) and support groups, focused on helping the addict change the way of thinking as well as behaving. The main focus of talk therapy is teaching addicts how to cope with life’s stressors. Support groups can be effective in combination with behavioral interventions to support long-term, ecstasy-free recovery. Still have questions about ecstasy addiction treatment? Please post your questions in the comments section below. We try to respond to all legitimate inquiries personally and promptly. In case we don’t know the answer to your question, we will gladly refer you to someone who can help.